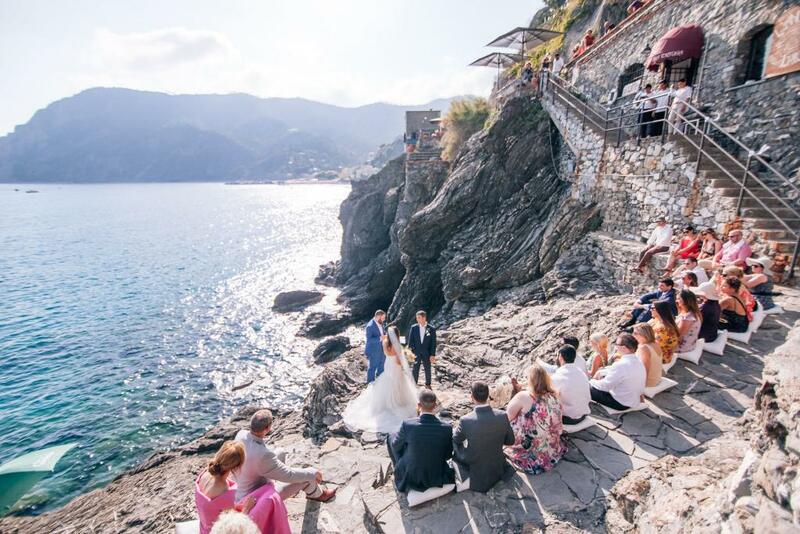 Taking the plunge never looked so good, when beautiful American couple, Casey and Jeremy decided to celebrate their Italian seaside wedding on the cliffs of the Cinque Terre. 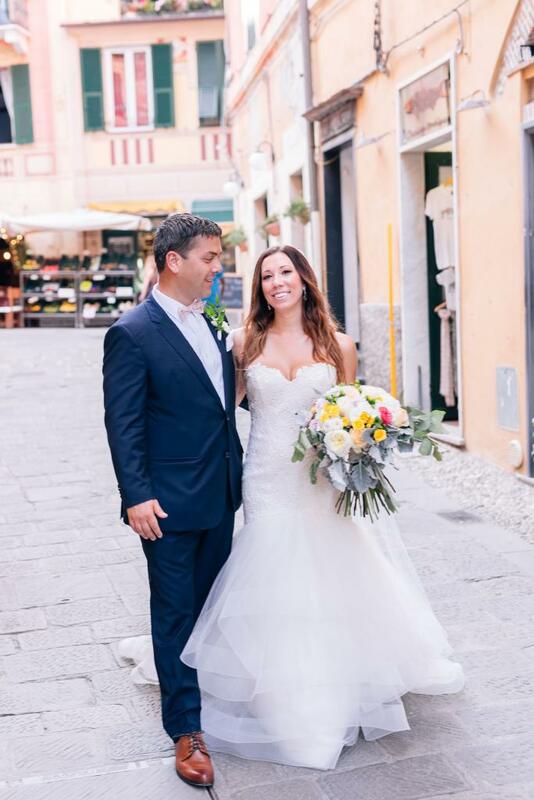 Owner of Speakeasy Digital, Casey, and Real Estate Broker of Mizner Residential Realty, Jeremy, were officially the first couple in the world to be married on this spot. So this successful, strong loving couple, who have a streak of cheeky humour in all they do, not only sealed their vows but also history, promising to protect each other from outdoor sprinklers, love each other for their dance moves and attend at least one baseball game per year. 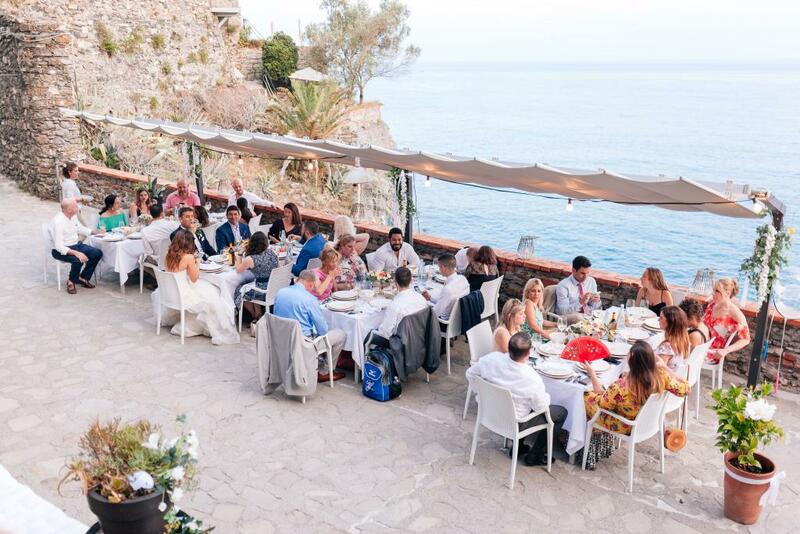 This incredible Italian seaside wedding in the Cinque Terre, surrounded by family and friends, was the result of an incredible seven-year romance that started with a simple knock on a friend’s neighbour’s door. It was a knock by Casey that was answered by Jeremy and an awkward and quick conversation followed (Jeremy had been in the middle of cooking lunch at the time). 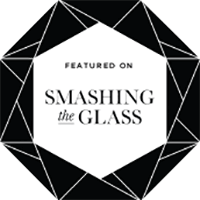 However, it was a knock that would have a resounding effect on both their lives. The very next day Jeremy tracked Casey down on Facebook, asked her out and the rest is history! 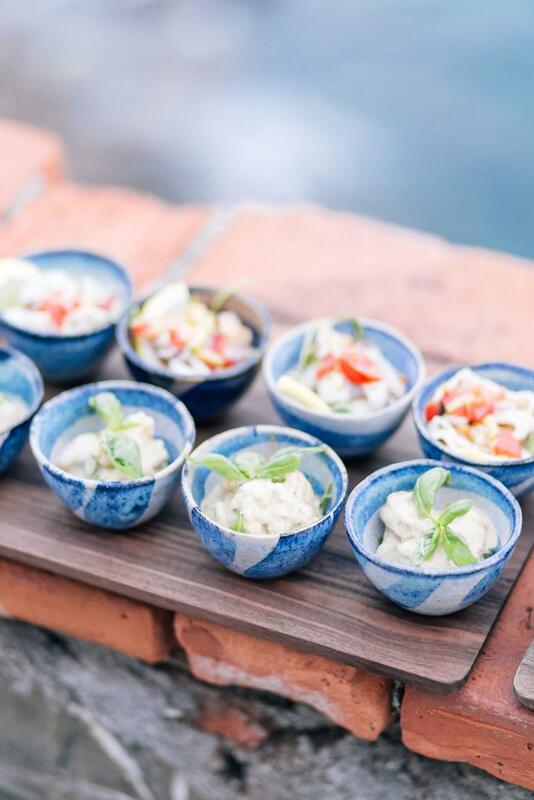 A few years later, on a three-week holiday to Italy, in a restaurant in the medieval town of Assisi, following a cooking class where they were set to taste the fruits of their labour, Jeremy told Casey he had a question for her. Then, to the tunes of Barry White playing somewhere in the background, Jeremy popped the question. Due to shock, Casey barely remembers what was said at the time, but she does remember that she giggled nervously in response and quoted LeBron James “It’s about damn time”, before saying yes! 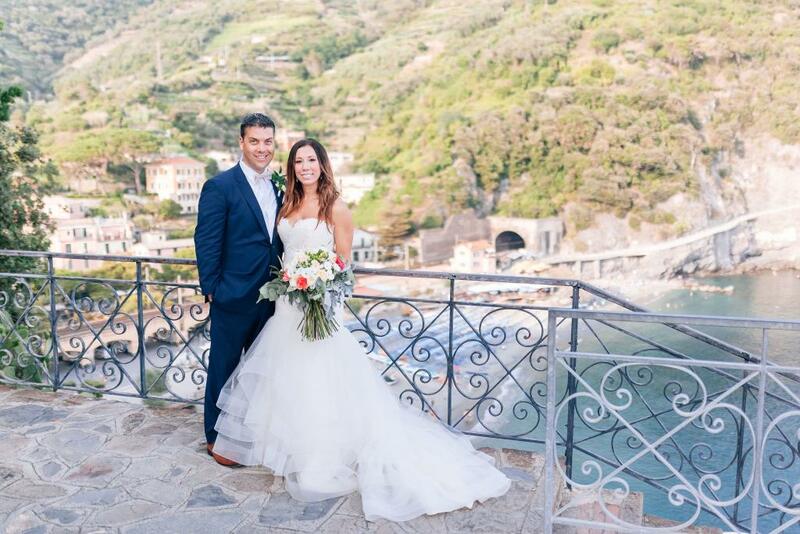 Lucky for them, Casey and Jeremy decided to return to Italy, choosing the Cinque Terre as the spectacular backdrop for their Italian seaside wedding. 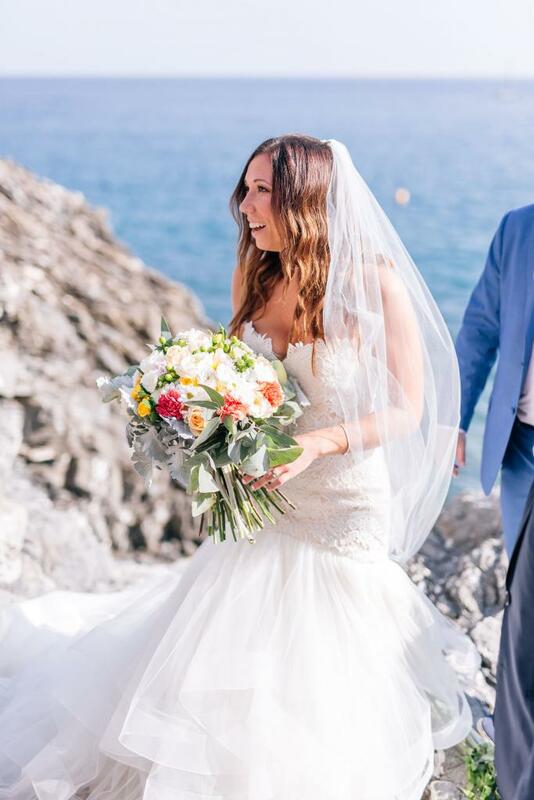 Lucky for us, Casey and Jeremy have agreed to share their great top tips and jaw dropping pics taken by Pure Photography, so we can all enjoy what it was like for them to take the plunge. 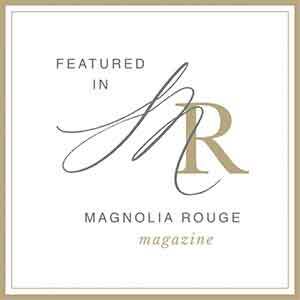 We wanted something special, unique and intimate. With friends and family all over the U.S., many people were going to have to travel anyway. 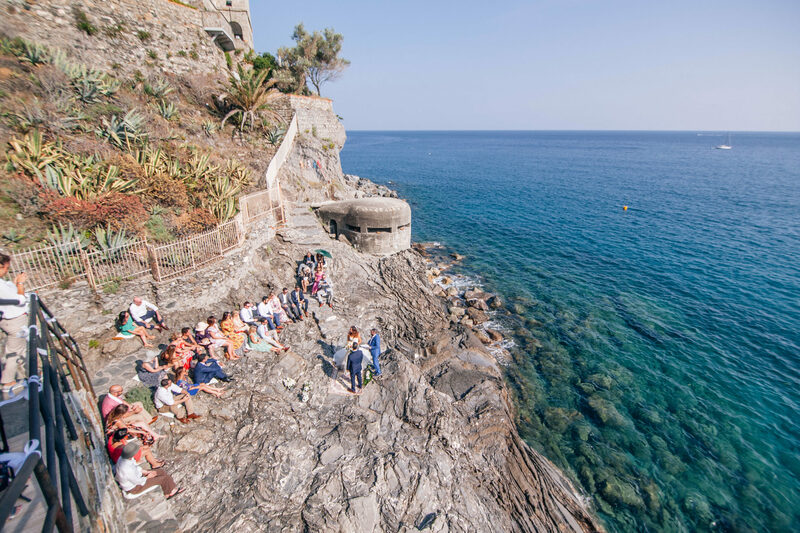 We’ve never met a person who dislikes Italy, and we couldn’t think of anything better than three days in Cinque Terre with our favourite people. It’s absolutely gorgeous, laid back, and the food is amazing. We also chose Monterosso because it’s a nice sized town to host 30 friends. It’s small enough where we can see each other around town, but large enough if you want a little privacy. 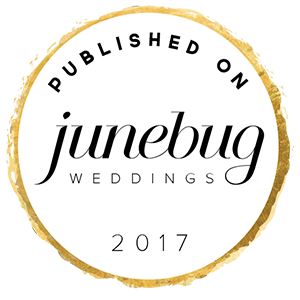 The planning process was easy because we had a great planner that put us at ease. 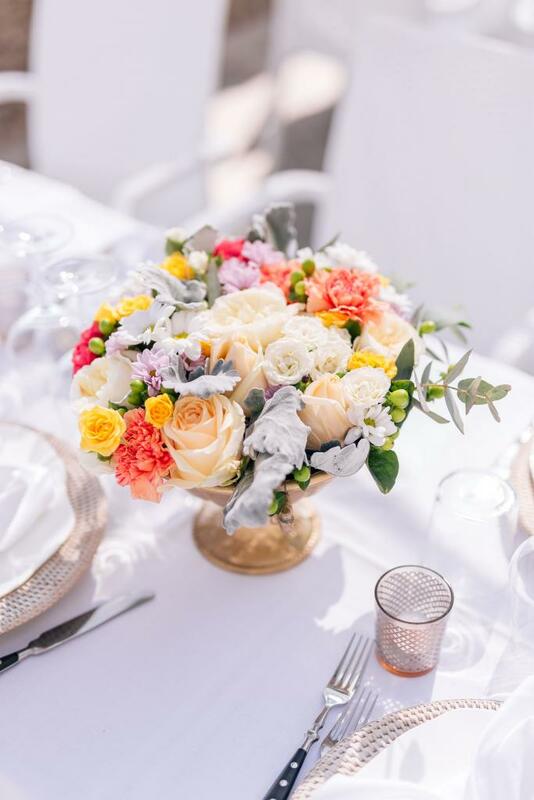 Planning a destination wedding definitely isn’t for everyone- if you want to be in control of every little detail, it’s probably not for you. 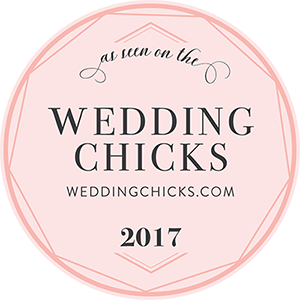 Normally I’m a control freak, but I chose not to make myself crazy over wedding planning, and let Melina and our vendors take care of everything. 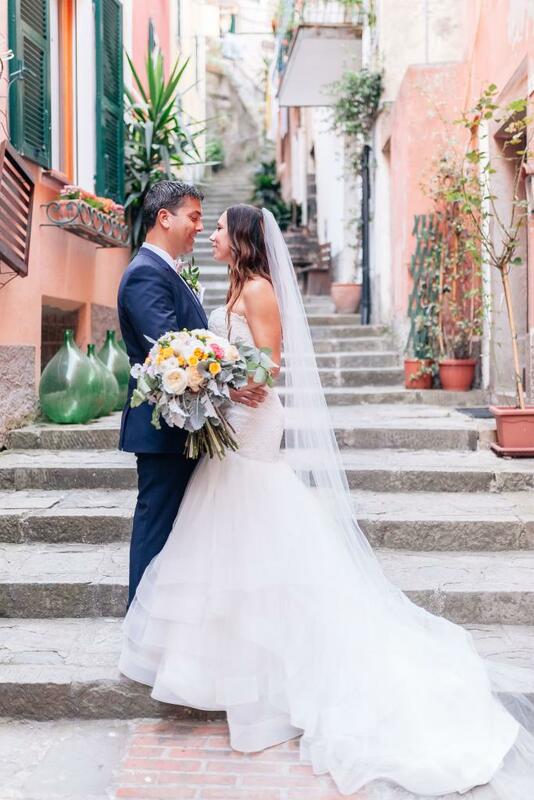 Italy never disappoints—everything is always delicious and beautiful- so I trusted that my wedding would turn out perfect (and it did)! 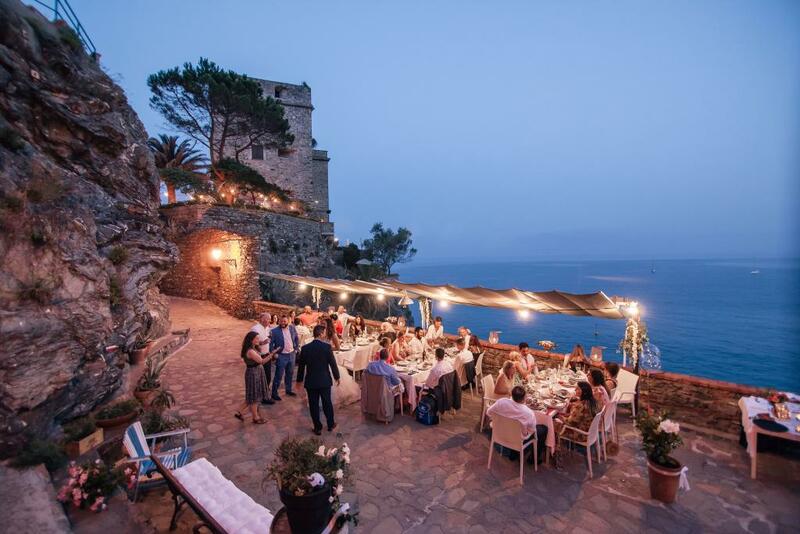 Best part of your Italian seaside wedding? It’s hard to choose. 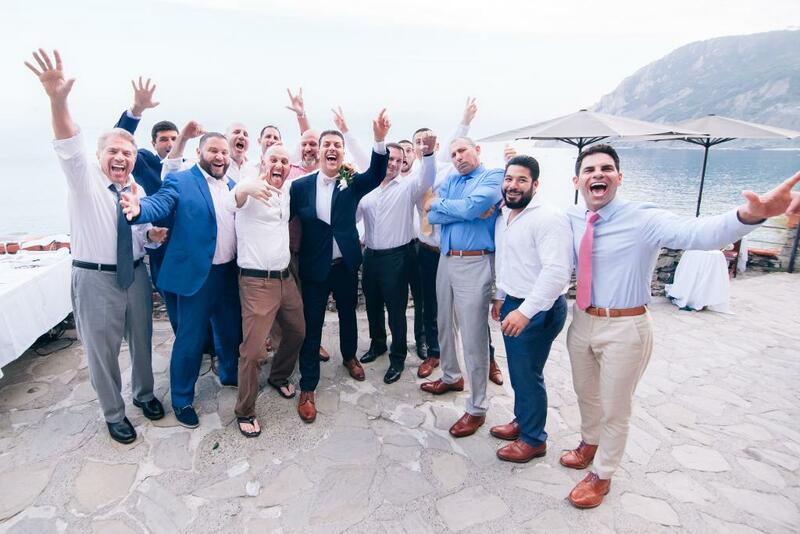 I loved our unique ceremony on the rocks, walking through the town, and just being surrounded by our best friends and family in Italy. During the planning process, my best advice is to just communicate with Melina as much as you need to. If you are unsure about something, just ask, and she will put you at ease! 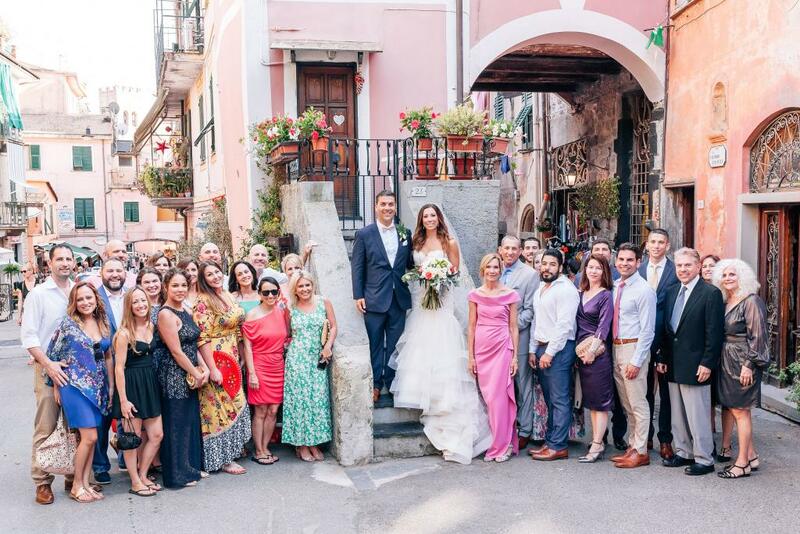 Once we arrived in Cinque Terre, the three days with our friends and family went so fast. Just sit back, take it all in, and enjoy yourselves. Everything is as it should be!